I don’t remember it being this hot the last time I trained for a marathon. Of course, back in 2010 I was getting up at 6AM to crank out long runs with the Pacer’s Distance Training Program. By the time I set off to do 11 miles this morning, temperatures were already in the 90’s. Lovely. When you’re not doing long runs with a team (and all the support that goes along with one), long runs have to be strategically planned around the availability of water. And when you’re not running in the cooler early mornings, long runs should follow the shadiest terrain possible. Today I ran from Clarendon to the Teddy Roosevelt Island for a quick jog along the trail. Despite the shade on the island, I was ready for some relief at mile 5. Thankfully, a couple of well-placed drinking fountains allowed for cool-downs. Apologies to the tourists who witnessed my impromptu cold-water baths. Nearly out of water, I ran across the TR bridge and along the Potomac river into Georgetown. I stopped at a cafe for a large water and ran through the new water park at the Georgetown waterfront. 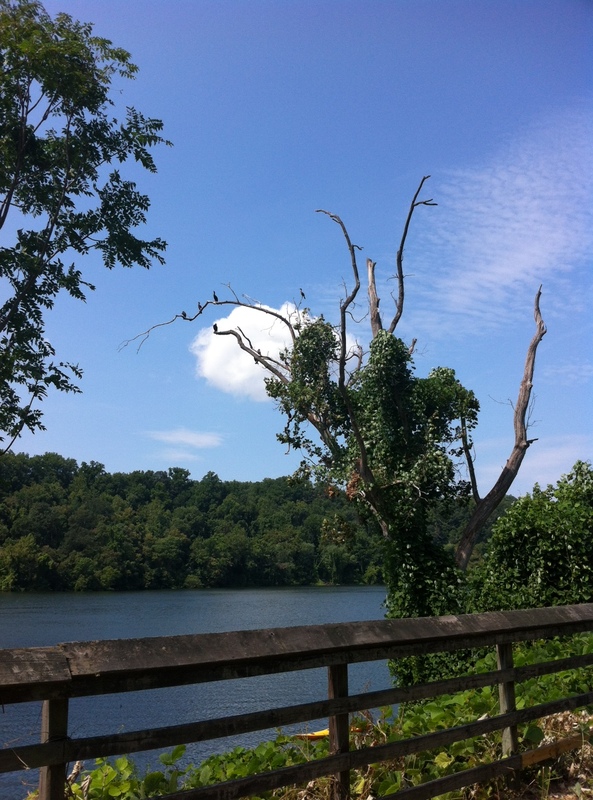 Still short on miles, I continued on the Capital Crescent trail up to the boathouse. Gorgeous day on the trail with tons of wildlife, including this tree full of cormorants around mile 8. Hot 11 mile run, but with the shade, water, and splash park it was manageable. Hope to get up a little earlier for next week’s 14 miler. Happy Running!